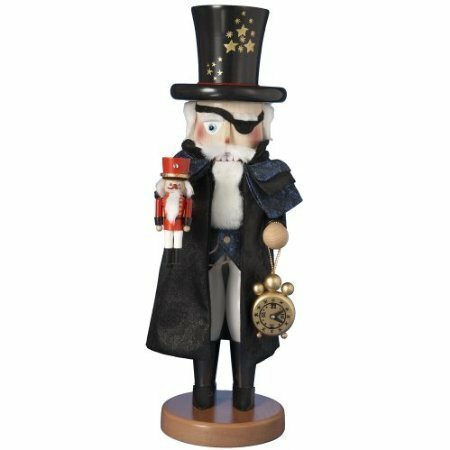 Herr Drosselmeyer Nutcracker. Part One in the Nutcracker Suite series. 5,000 piece Limited Edition. Handsigned by Karla Steinbach. Handcrafted in Germany. Imported by Pinnacle Peak Trading Company. Made from wood. Approximately 19 inches tall (48 cm). Manufacturers packaging: Gift box. Made by Steinbach.